The job search process includes you looking at the job opening, applying with your updated resume and then the employer getting in touch with you. But at times you never hear back. Or rather most of the times you do not hear back from the employer. Ever wondered why? Even when the job required the exact skill set that you possess, you do not hear back. This is because of the times your resume has not reached the human hands and got filtered through the ATS (Applicant Tracking System). 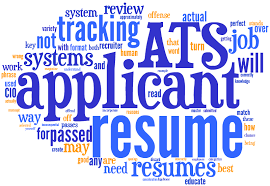 An ATS is a software application that helps the recruiters manage recruiting systems electronically. It can be implemented on a business level or can be accessed online depending on the needs of the company. When does ATS Matter to a Job Seeker? As a job seeker when you are looking for a job online, ATS matters. So next when you are writing your resume keep your focus on both the software that short lists you and the human that reads your resume next. Lastly, it is important that you tailor your resume for each job that you apply to as every job will have different set of skills and keywords. So instead of using the same resume, modify your resume for every search.